Secured loans provide an effective way to release funds for reasons such as home improvements, debt consolidation, holidays or to pay a tax bill. The current financial climate has paved the way for a wider choice of products to utilise when the need to generate additional capital arises, but a re-mortgage is not possible or viable. Hoskin Homeloans are able to arrange secured loans against a variety of properties. With variable rates at an all-time low, a re-mortgage is not always the best option, we are able to provide you with an alternative for almost any purpose. As an independent finance specialist, we are committed to providing the best products, with flexible, responsive service. 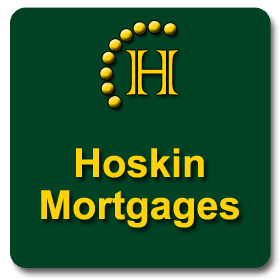 Hoskin Homeloans was created by an experienced team who recognised a real need in the market to provide a service that was efficient, consistent and knowledgeable. We are passionate about giving access to the best products on the market in the easiest way possible. Benefiting from the knowledge our experienced team has gained over the years, you can be assured of sound advice from a team working on your behalf. Our Panel of lending partners provide us with the ability to place the majority of applications submitted. As a modern, forward-thinking business we are able to offer a first class service to our clients. 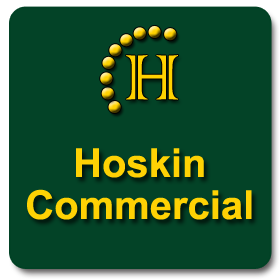 The team at Hoskin Homeloans has a great depth of knowledge and experience. 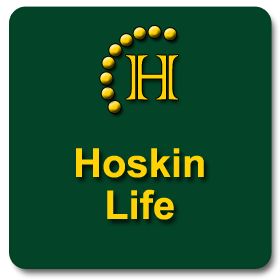 Hoskin home loans has access to a panel of lenders who can provide funds by way of second charge secured loans from £10,000 to greater than £2.5 million with LTV’s as high as 95%. We pride ourselves on our experience and transparency. We know how important it is to receive responsive customer service. That’s why we respond to enquiries promptly and provide a Same Day Decision. Raise money quickly – loans are typically completed in 2–3 weeks. 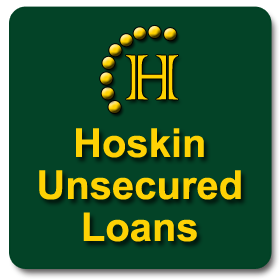 No upfront costs to set up a secured loan – Hoskin Homeloans will cover all costs, including valuation. 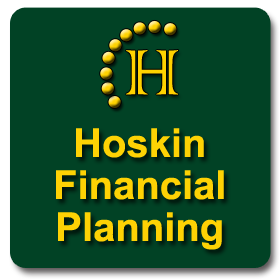 For more help and advice please do not hesitate to contact us at Hoskin Home Loans or Telephone us on Maldon (01621) 876303 or email us via the contact form below. ESSEX TOWNS and VILLAGES COVERED from our Maldon office at Hoskin Home Loans. Abridge, Althorne, Ardleigh, Arkesden, Aveley. Barking, Barkingside, Barnston, Basildon, Battlesbridge, Belchamp St Paul, Benfleet, Billericay, Bishops Stortford, Blackmore End, Boreham, Bradwell On Sea, Braintree, Brantham, Brentwood, Brightlingsea, Broxted, Buckhurst Hill, Bulphan, Burnham On Crouch. Canewdon, Canvey Island, Castle Heddingham, Castle Hedingham, Cattawade, Chadwell Heath, Chafford Hundred, Chappel, Chatham Green, Chelmsford, Chigwell, Chingford, Clacton On Sea, Clavering, Coggeshall, Colchester, Crays Hill. Dagenham, Danbury, Debden, Dedham, Doddinghurst, Dovercourt, Dunmow. Earls Colne, Elm Park, Elmdon, Elmstead, Elsenham, Epping. Gestingthorpe, Gosfield, Grays, Great Baddow, Great Bardfield, Great Braxted, Great Chesterford, Great Dunmow, Great Easton, Great Saling, Great Totham, Great Wakering, Great Waltham, Great Warley, Great Yeldham. Laindon, Langham, Latchingdon, Leigh On Sea, Little Bentley, Little Braxted, Little Canfield, Little Clacton, Little Dunmow, Little Easton, Little Hallingbury, Little Maplestead, Little Waltham, Little Warley, Loughton. Maldon, Manningtree, Margaretting, Matching Green, Mersea Island, Mistley, Moreton, Mount Bures, Mountnessing, Mundon. Navestockside, Nazeing, North Fambridge, Northey Island. Old Harlow, Ongar, Orsett, Ovington. Paglesham, Panfield, Pattiswick, Pebmarsh, Peldon, Pitsea, Purfleet, Purleigh. Radwinter, Rainham, Rayleigh, Rayne, Redbridge, Rettendon, Rickling Green, Rochford, Romford, Rowhedge, Roxwell, Roydon. Saffron Walden, Shalford, Shenfield, South Benfleet, South Hanningfield, South Ockendon, South Woodford, South Woodham Ferrers, Southend On Sea, Southminster, St Osyth, Stanford Le Hope, Stansted, Stansted Airport, Stansted Mountfitchet, Stanway, Stapleford Abbotts, Stevenage, Stock. Takeley, Thaxted, Theydon Bois, Thornwood, Thorpe Le Soken, Thurrock, Tilbury, Tillingham, Tiptree, Tollesbury, Tolleshunt Knights, Toot Hill. Waltham Abbey, Walton On The Naze, Wanstead, Warley, Weeley, Wendens Ambo, West Mersea, West Thurrock, Westcliff On Sea, Wethersfield, White Notley, Wickford, Wickham Bishops, Witham, Wivenhoe, Woodford, Woodford Bridge, Woodford Green, Woodham Mortimer, Woodham Walter, Writtle. This type of finance is not usually FCA regulated; therefore our funders can afford to adopt a more flexible approach when it comes to assessing deals. Our private funders will typically be investors looking for a quick return on their capital. The quickest way to have your short term finance enquiry assessed is to telephone one of our advisers today on 01621 – 876030. This website is intended for authorised intermediary use only. Those without professional mortgage experience should not rely solely on it’s content. 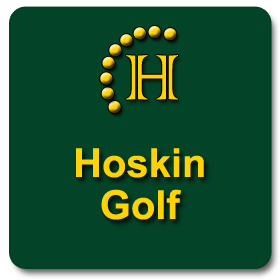 For more information please contact us at Hoskin Home Loans. Think carefully before securing other debts against your home. Your home may be repossessed if you do not keep up repayments on a mortgage or any other debt secured on it. 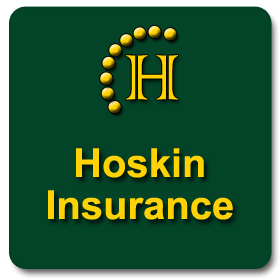 For more help and advice please do not hesitate to contact us at Hoskin Home Loans or Telephone us on Maldon (01621) 876303 or email us via the contact form below. 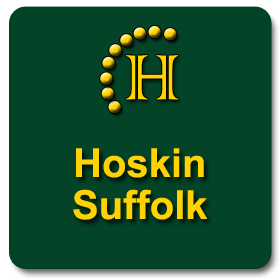 ESSEX TOWNS and VILLAGES COVERED from our Maldon office at Hoskin Home Loans. Abridge, Althorne, Ardleigh, Arkesden, Aveley. Barking, Barkingside, Barnston, Basildon, Battlesbridge, Belchamp St Paul, Benfleet, Billericay, Bishops Stortford, Blackmore End, Boreham, Bradwell On Sea, Braintree, Brantham, Brentwood, Brightlingsea, Broxted, Buckhurst Hill, Bulphan, Burnham On Crouch. Canewdon, Canvey Island, Castle Heddingham, Castle Hedingham, Cattawade, Chadwell Heath, Chafford Hundred, Chappel, Chatham Green, Chelmsford, Chigwell, Chingford, Clacton On Sea, Clavering, Coggeshall, Colchester, Crays Hill. Dagenham, Danbury, Debden, Dedham, Doddinghurst, Dovercourt, Dunmow. Earls Colne, Elm Park, Elmdon, Elmstead, Elsenham, Epping. Fairstead, Feering, Felsted, Finchingfield, Fingringhoe, Flatford, Fordham, Frinton On Sea, Fyfield Gestingthorpe, Gosfield, Grays, Great Baddow, Great Bardfield, Great Braxted, Great Chesterford, Great Dunmow, Great Easton, Great Saling, Great Totham, Great Wakering, Great Waltham, Great Warley, Great Yeldham. Hadleigh, Hadstock, Halstead, Harlow, Harwich, Hatfield Peverel, Herongate, Heybridge, Heybridge Basin, High Roding, Hockley, Holland On Sea, Hornchurch, Horndon On The Hill, Horsley Cross Ickleton, Ilford, Ingatestone, Ingrave. Kelvedon, Kelvedon Hatch. Laindon, Langham, Latchingdon, Leigh On Sea, Little Bentley, Little Braxted, Little Canfield, Little Clacton, Little Dunmow, Little Easton, Little Hallingbury, Little Maplestead, Little Waltham, Little Warley, Loughton. Maldon, Manningtree, Margaretting, Matching Green, Mersea Island, Mistley, Moreton, Mount Bures, Mountnessing, Mundon. Navestockside, Nazeing, North Fambridge, Northey Island. Old Harlow, Ongar, Orsett, Ovington. Paglesham, Panfield, Pattiswick, Pebmarsh, Peldon, Pitsea, Purfleet, Purleigh. Quendon. Radwinter, Rainham, Rayleigh, Rayne, Redbridge, Rettendon, Rickling Green, Rochford, Romford, Rowhedge, Roxwell, Roydon. Saffron Walden, Shalford, Shenfield, South Benfleet, South Hanningfield, South Ockendon, South Woodford, South Woodham Ferrers, Southend On Sea, Southminster, St Osyth, Stanford Le Hope, Stansted, Stansted Airport, Stansted Mountfitchet, Stanway, Stapleford Abbotts, Stevenage, Stock. Takeley, Thaxted, Theydon Bois, Thornwood, Thorpe Le Soken, Thurrock, Tilbury, Tillingham, Tiptree, Tollesbury, Tolleshunt Knights, Toot Hill. Upminster. Vange. Waltham Abbey, Walton On The Naze, Wanstead, Warley, Weeley, Wendens Ambo, West Mersea, West Thurrock, Westcliff On Sea, Wethersfield, White Notley, Wickford, Wickham Bishops, Witham, Wivenhoe, Woodford, Woodford Bridge, Woodford Green, Woodham Mortimer, Woodham Walter, Writtle. Youngs End. Commercial lending has been restricted since the global financial crisis with the High Street Banks now being at times inflexible with their lending criteria. This has resulted in many SMEs not being able to refinance existing properties or purchase new ones, effectively stifling the growth or survival of some of these businesses. • Investment properties and portfolios Maximum loan to value (LTV) is usually 75% and broker fees will be charged. Whether you’re an experienced property developer or taking on a project for the first-time, we can look to assist you. 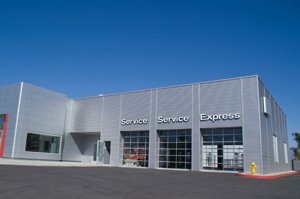 We have developed a network of leading providers, and understand which to approach to find the most favorable terms to meet your specific requirements. We arrange the finance for a wide range of projects, from commercial property builds and residential builds, to large scale developments. 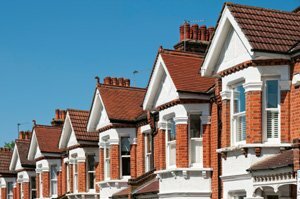 In most cases a higher level of loan-to-value can be obtained by our experienced brokers working in tandem with specialist lenders than by approaching High Street banks independently. We have seen eventful times of late for brokers and lenders, with the Mortgage Market Review (MMR) shaking up the mortgage market and the Financial Conduct Authority (FCA)’s oversight of the consumer credit industry causing a stir. Traditionally, there has been reluctance from many brokers to look at secured lending as a viable alternative to re-mortgage products. Intermediaries have cited a number of reasons, including nervousness around the compliance implications of secured lending products, right up to a lack of understanding of secured lending altogether. However, now that all forms of secured lending come under the same FCA umbrella, brokers are not only able to, but obliged to consider all options to devise the best credit solution for their customers. When the MMR is taken into consideration, the affordability requirements and restrictions now in place on new mortgages make it all the more important for brokers to consider all of the options and find a loan that is most closely targeted at the customer’s individual circumstances. Quite rightly, the focus of the FCA is to safeguard the consumer and within reason ensure that the most appropriate customer outcome is achieved. By giving the secured lending sector its own oversight, it is sending a very clear message to brokers that, in many cases, the appropriate outcome for a customer may well be a secured loan. 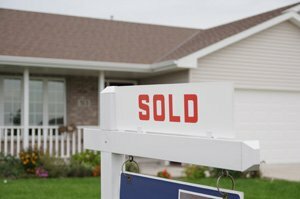 You know your home is one of the most important investments you will ever make. You also know that without constantly maintaining and improving your home, it is an investment that will never grow in value. However, what do you do if you do not have the money to make the improvements you are hoping to make? We suggest applying for one of the many home improvement loans currently available in the UK. A secured home loan is one of the best financial tools available to homeowners. These loans allow the individual to leverage the value already in his or her home to borrow large amounts of money with friendly repayment terms. Moreover, as a secured loan, this financing is cheap and fairly easy to get, provided you have equity in your home. Here is a brief, step-by-step guide to obtaining a cheap home improvement loan. If you do not yet have a family budget, you need to create one in order to determine how much you can afford for monthly loan payments. Those who already have a budget need to adjust it to make sure unnecessary spending is curtailed. Without a proper and reasonable budget in place, it is too easy to become overextended with a secured home loan. That’s not a good idea when you consider the fact that defaulting on a home loan could result in the repossession and sale of your property. Are you a homeowner who has been turned down for a personal loan? Have you thought about securing the loan against your property? Read on to discover the questions you should ask before choosing to take out a homeowner loan. A homeowner loan is only available to those who currently have a mortgage. This type of borrowing is sometimes referred to as a secured loan because the debt is secured against an asset, which can then be repossessed should repayments not be made. This reduces the risk to the lender, which may result in preferential interest rates, but presents a risk to the borrower who could lose their home if payments are defaulted. The amount of the loan granted can vary from lender to lender, but homeowner loans are usually up to the value of £200,000. Lenders feel more confident in granting loans to borrowers who are prepared to secure the credit against an asset. How quickly must I repay my homeowner loan? Due to the characteristically large amount of credit associated with a homeowner loan, its repayment can be spread across a term of up to 30 years. This lengthy term can mean that borrowers can benefit from low monthly interest rates, although be mindful that more interest will be paid overall. Can a homeowner loan be repaid early? Yes, there is the opportunity to repay a homeowner loan early, but doing so may incur an early settlement charge, which is added to the remaining balance at the time that a settlement figure is requested. Our property is jointly owned, does this mean that the homeowner loan must also be in both names? A homeowner loan is secured to the property rather than to the individual, which means that if the property is jointly owned, the credit rating of both owners must be taken into account. In addition to credit score, affordability will also be assessed to measure the monthly outgoings against the joint income. Tailored debt consolidation, for more control. A credit card here, a holiday loan there, an outfit on a store card, a new TV with monthly payments, it’s all too easy to build up expensive debts. If they have different payment dates one could get missed, but debt consolidation lets you pay them all off with one low rate loan that only requires a single payment every month. Stop missed payments, rebuild your credit rating.